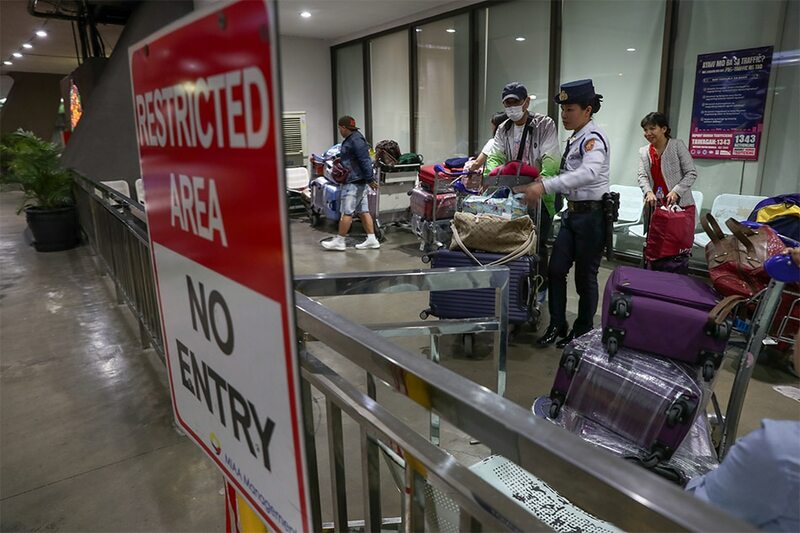 MANILA - As airports and airlines cope with the influx of passengers this Holy Week, a lawmaker called on authorities to inform travelers ahead of time if flights are delayed. Sen. Panfilo Lacson took to Twitter on Monday to call for passengers to be spared from wasting time in air terminals while waiting for flights that have been rescheduled. "Since flight delays are given, disservice may still be turned into public service by informing the passengers ahead of time so they can be productive and not paralyzed by boredom while waiting for announcements in a congested area called NAIA," Lacson said in a tweet. "Mahirap bang ilagay sa kukote yun?" he said. Since flight delays are given, disservice may still be turned into public service by informing the passengers ahead of time so they can be productive and not paralyzed by boredom while waiting for announcements in a congested area called NAIA. Mahirap bang ilagay sa kukote yun? A website that tracks flights at the Ninoy Aquino International Airport listed several domestic and international flights as delayed as of Monday afternoon. Airlines advised passengers to arrive 2 hours ahead of their departure time for domestic flights, and 3 hours ahead for international flights, as airports cope with peak travel season. The Manila International Airport Authority urged passengers to arrive 3 hours ahead of their departure time for all flights. The NAIA media affairs bureau said the number of passengers at the airport rose 8 percent to 138,865 on Palm Sunday, which marks the start of the observance of Holy Week.